A minesweeper is a small warship intended to counter the threat to shipping of naval mines. Minesweepers generally detect then neutralize mines in advance of other naval operations. Minesweeper warship of Soviet WW2 fleet. The often described sinking of the auxiliary minesweeper M-3134 on 1/July/1941 was instead caused by German own mines. 19 July 1941 The Finnish motor torpedo boats Raju, Syoksy and Vinha attacked the soviet minesweeper Tszcz-202 Buy: she was missed by torpedo and the minesweeper hit and damaged the Vinha that had to be towed away by Raju to not be lost. 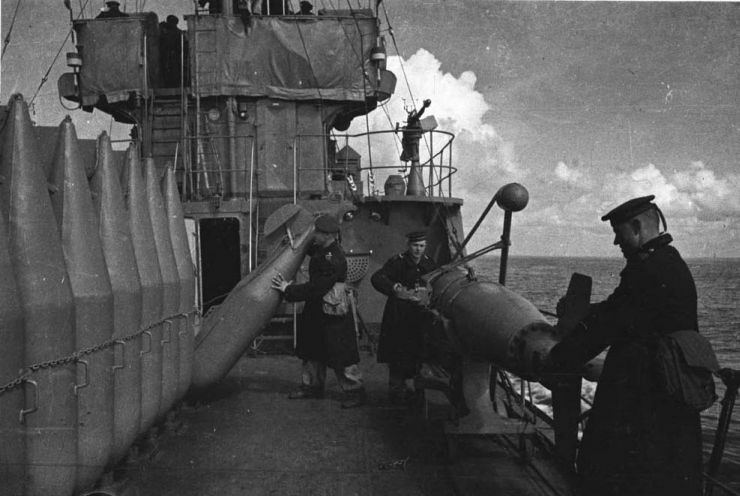 11 July 1942 Minesweepers Tszcz-205 Gafel and Tszcz-207 Shpil were sent as reinforcement escorting the torpedo boat (guard-boat) Burya, during the Battle of Someri Island. However these ships had no actual engagement against the enemy (Finnish-German units). The battle was a soviet defeat with the failure of the landing and a number of losses among small crafts (caused mainly by Finnish coastal artillery and gunboats), and only damage caused to the enemy was due soviet aircrafts. 16 July 1944 Result: Germans fail their goals. Minesweepers Tszcz-211 Rym and Tszcz-217 Kontr-Admiral Yurkovskiy fought with the torpedo boat (guard boat) Tucha against the German torpedo boats T-30 (large, of Elbing class), T-8 and T-10. No hits was scored on both sides but the Germans retreated after having troubles at engines and guns, even if they had a number of advantages on paper. The First Battle of Nerva (involving soviet motor torpedo boat) has resulted in a soviet victory with sinking of a German large torpedo boat. 18 November 1944 Result: Indecisive. 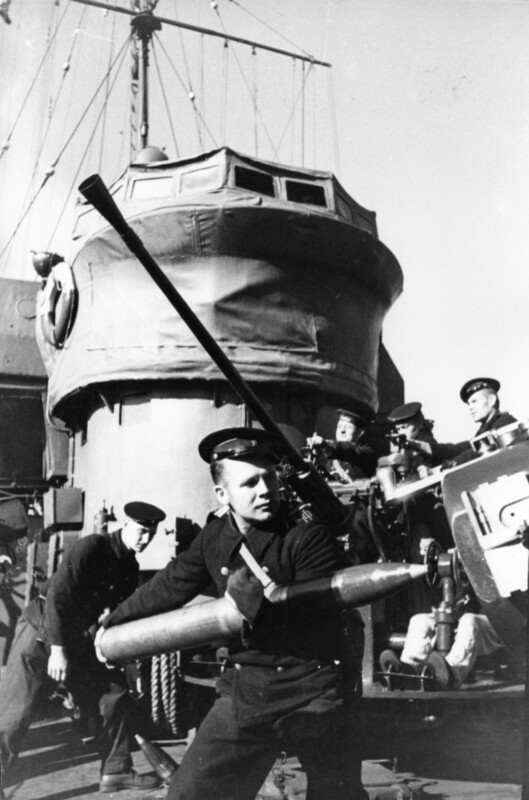 An engagement between the German minesweeper M-328 (followed by the four small auxiliary minesweepers) against four Fugas-class units, saw the Tszcz-207 Shpil hit by a 105mm shell of the M-328 with some damages. A counter-attack of the soviet gunboats Volga, Bureya and Zeya saw no other hits on both sides and both groups retreated. The following Second Battle of Cape Sorve would ends with a more successful result for soviets, but there was no involvement of minesweepers. A mine left from a field laid by Tszcz-404 Shchit in Odessa harbor before the retreat on 16 October 1941 will sunk a enemy harbor tug on 22 April 1942. A mine left from a field laid by Tszcz-405 Vzryvatel sunk the German landing barrge F-145 (cargo of oil) on 3 June 1942 (previously believed by Soviet submarine or German mine). On day 25 October 1941 were sunk the German auxiliary minesweeper Brusterort together with the German minelayer Theresia Wallner. Minesweepers Tszcz-408 Yakor and Tszcz-412 Arseniy Rasskin had a clash against the Romanian torpedo boat Smeul that was escorting the merchants Tsar Ferdinand (1994 GRT) and Oituz (2686 GRT). 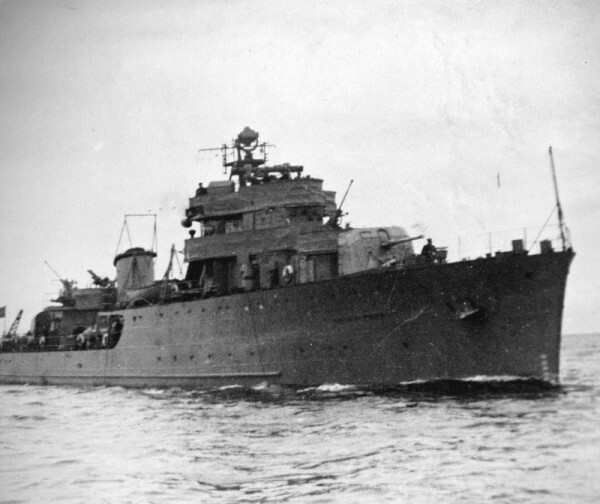 During the clash both the minesweepers claimed one hit on the enemy (Tszcz-408 on the leading merchant and Tszcz-412 on the Smeul) however no damage was reported by the enemy. Smeul returned fire but she too achieved no hits. 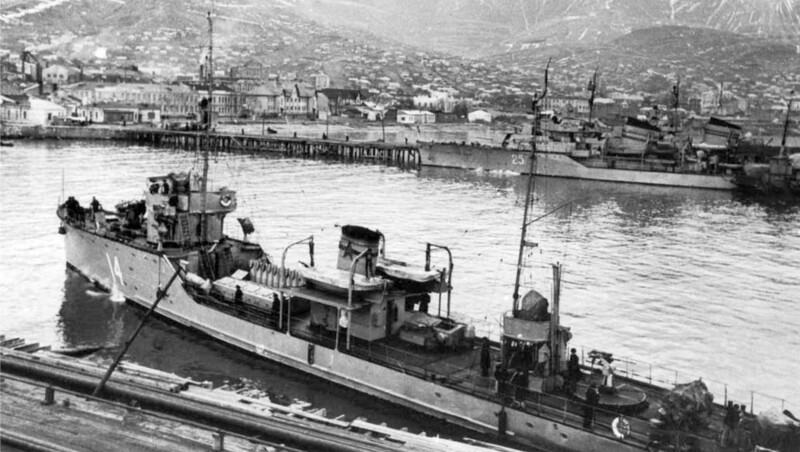 Soviet minesweepers retreated after they misidentified a group of German small auxiliary minesweepers of (R-boats) for motor torpedo boats (S-boats) that shared similar features. Other two soviet minesweeper and a destroyer were not directly involved in battle. 27 February 1943 Minesweeper Tszcz-403 Gruz was torpedoed and sunk by German motor torpedo boats S-28, S-51, S-72 and S-102 without time to open fire. During this attack was also sunk the tug Mius and the gunboat Krasnaya Gruziya was mortally hit (and later finished by enemy aircrafts and coastal artillery). The loss of Tszcz-403 was the only soviet minesweeper of non-auxiliary origin (Fugas-class or others) to have been sunk in surface action by enemy. 31 March 1943 German submarine U-24 was damaged by minesweepers Tszcz-406 Iskratel, Tszcz-407 Mina and Tszcz-409 Yakor (with support of a pair of seaplanes MBR-2) with depth charges and forced to return at the base. 24 October 1943 Again the German submarine U-24, that had suffered very minor damage by a single depth charge two days earlier, was depth charged by Tszcz-401 Tral and Tszcz-412 Arseniy Rasskin with support of smaller units, and received further damage. 30 November 1939 During the Winter War, Soviet auxiliary minesweepers Tszcz-895 and Tszcz-897 seized two abandoned Finnish motorboats on Rybachi peninsula. 19 July 1941 Soviet auxiliary minesweeper Tszcz-31, with auxiliary patrol boat Shtil, shot down a German Ju-87 bomber. Crew MIA. (Shtil sunk during the fight). 5 September 1944 German submarine U-362 was attacked and sunk with depth charges by Soviet minesweeper Tszcz-116 (ex-American of Admirable class). 24 August 1945 Soviet auxiliary minesweeper Tszcz-155 captured a japanese schooner in Kurili islands. Soviet minesweeper 'Iskatel' of project 53. Fast minesweeper 'Tral' № 401 (type 'Fugas') of USSR fleet. Fast minesweeper 'Shield' T-404 of Soviet Black sea navy, 1942. Soviet WWII minesweeper ETMSch-407 'Mina' in Sevastopol. WWII photo. 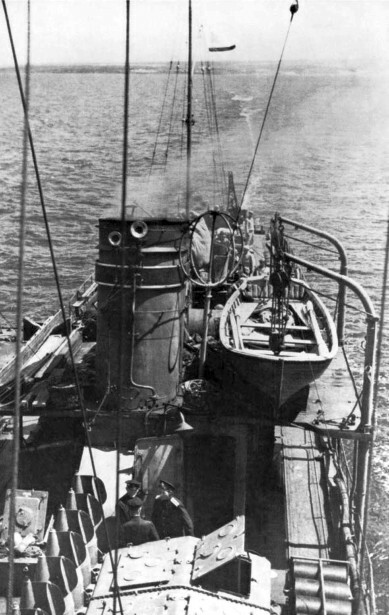 Squadron minesweeper Vladimir Poluhin of Russian fleet in 1942.